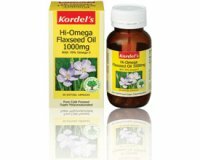 Kordel's Hi-Omega Flaxseed Oil is an exceptionally rich source of essential fatty acids of the Omega 3, 6 and 9 groups including alpha linolenic (LNA), linoleic (LA) and oleic fatty acids, which are important for good health. It contains 70% omega 3 through the cold compression of organically grown, carefully selected flaxseed. 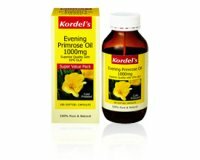 Omega 3 and 6 fatty acids not be made by the human body and must be otained from the diet. 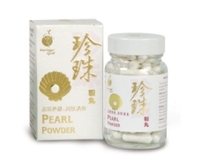 They are needed for the production of prostaglandins and normal cell growth and repair. 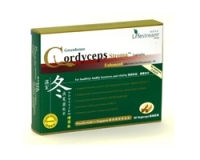 Take 1-2 capsules 3 times a day after food or as directed by your healthcare professional.